Hey lovelies! So we've already made it half-way through the year now June's over (crazy, crazy, crazy!) but that also means Summer is here yayyy! I break up from school in roughly two weeks and as you can probably imagine, I can't wait. I'm usually a Winter/Autumn person but this year I just feel so much more excited about everything I've got planned this Summer, from blogging to holidays! I had so many things I wanted to squeeze into this month's Love List, mostly because I've been ordering and online shopping for all sorts this June but I managed to narrow it down to a handful of things for you today. In case you're new around my blog, I call these sorts of posts 'Love Lists' rather than simply favourites because they tend to feature pretty much anything at all I've been loving this month (from succulents to mascaras...) and aren't really your typical beauty favourites as you can probably tell! Anyway, I hope you enjoy having a little read of what I have been obsessed with in June! I don't tend to wear makeup that often (I mean, all that effort every morning - no thanks!) but one thing I'm always reaching for is a light bit of mascara and this is my new love this month! 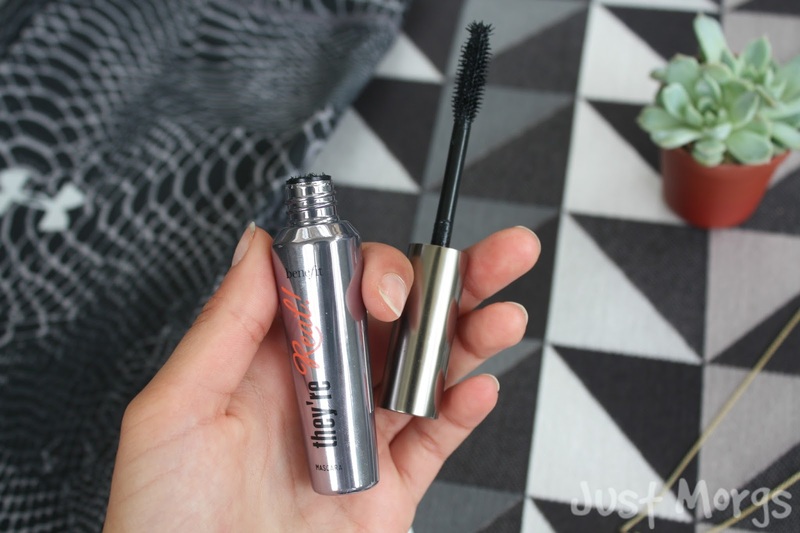 It's the first thing I've tried from Benefit and it's honestly my favourite mascara ever. The formula is super long-lasting and volumizes and separates your lashes amazingly without having that cake-y fake look which I hate. 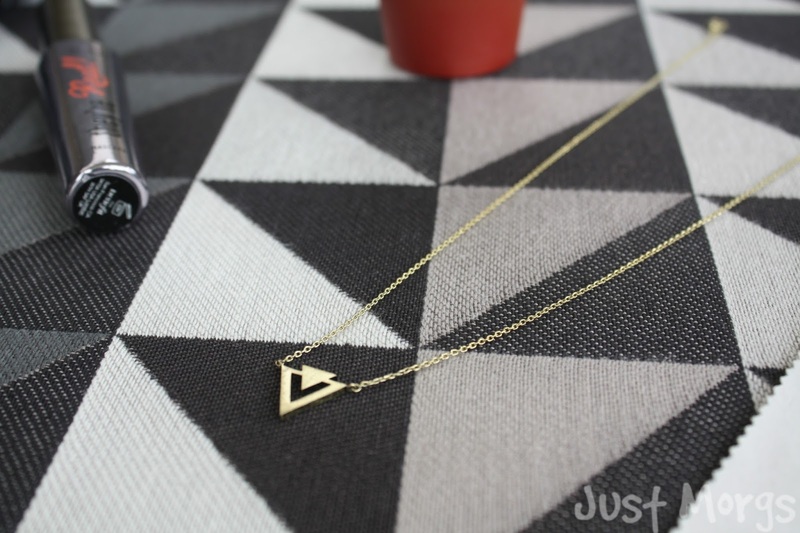 A end-of month purchase for me, but I have been wearing this Urban Outfitters necklace ever since! It's gorgeous dirtied gold colour and subtle enough to wear with anything. 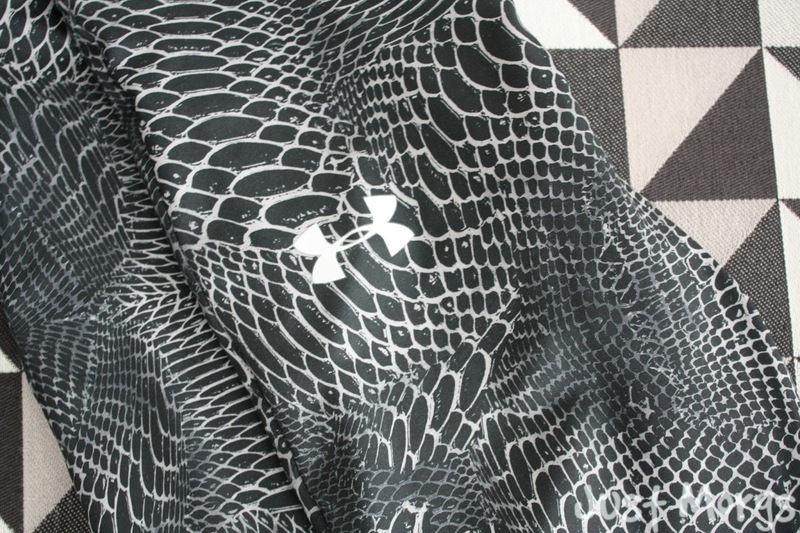 I love buying new workout gear, I think it just overall motivates me to do it more and I've been loving these 'capri-style' running leggings by Under Armour. I can't seem to find the exact set I have online, but there are so many sportswear pieces and designs to choose from I will definitely be buying more from them soon. I actually got sent these by glassesshop.com which I'll be doing a review on very soon, but I've been so excited wearing them - especially now the weather is so much nicer! 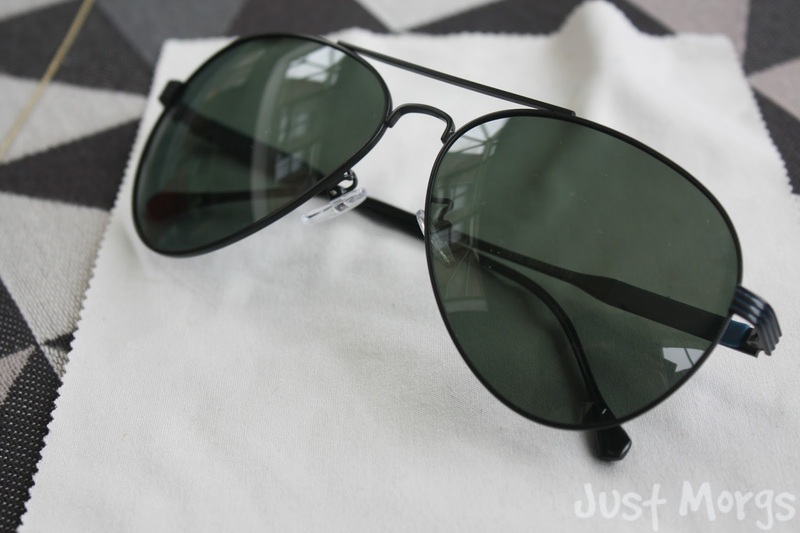 I love the aviator-style sunglasses trend, and they're going to be even more perfect for all the Summer Festivals I'm going to soon! Meet Bella, yep another succulent to my little collection! 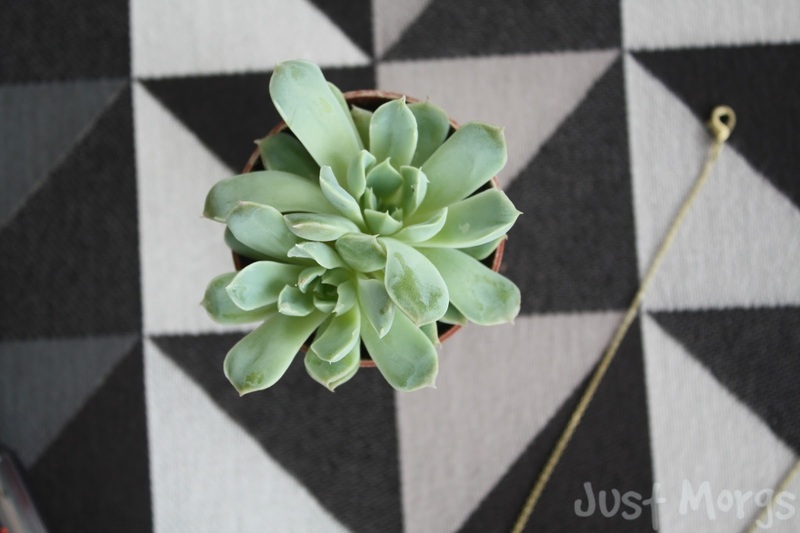 I think I featured some cacti in my last love list, but I just cannot get enough of these lil' guys! This one I picked up from a local garden centre but I have been loving these in general. My bedroom is slowly becoming a plant heaven hehe! 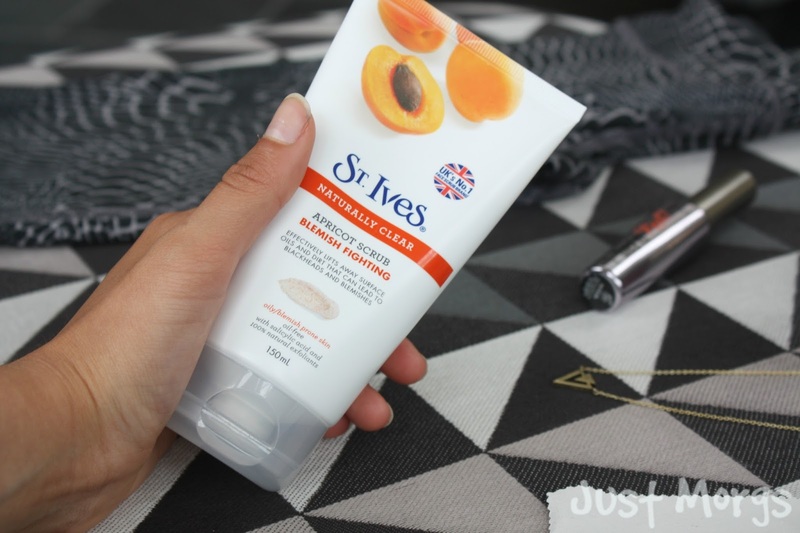 I love using face scrubs, if you've read my Q and A post you'll know it's definitely one skincare item I could not live without and this one by St Ives has been the only one I've reached for this month. I've been using this every other morning and it's worked amazingly to clear spots and blemishes as well as just leaving my skin feeling super soft and nourished. It's also super inexpensive compared to the Lush scrubs I usually use and so I would totally recommend this as a cheaper alternative! everyone's doing bright, summer-themed posts or videos and it just puts me in such a positive mood! Can't wait to start doing a few of these myself, and of course I almost forgot this summer (in July I think) will be Just Morgs's 1st birthday eek! It'll be quite funny to compare this year's summer posts to last years when I had only just started blogging hehe. 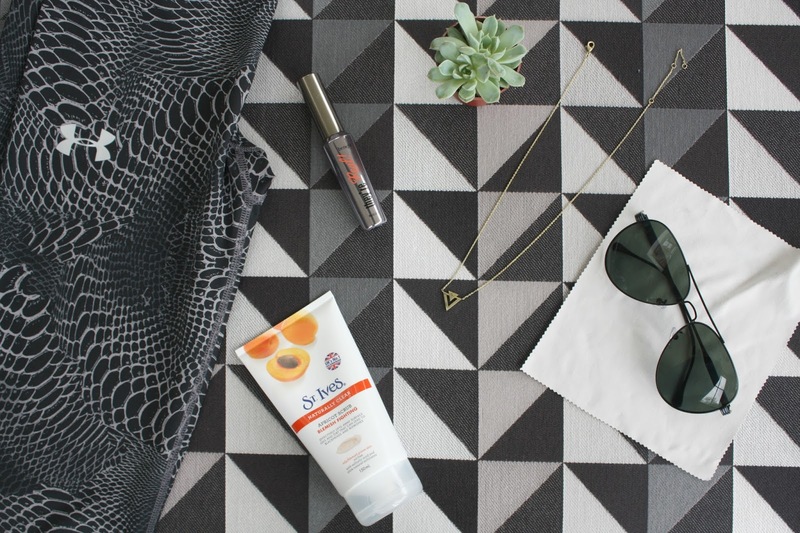 QOTD: WHICH ONE OF THESE PRODUCTS WOULD YOU MOST LIKE TO TRY? The necklace is so beautiful! Lovely selection. The benefit they're real mascara is so good isn't it!! The necklace is really pretty! The Benefit They're Real mascara is one of my favorites, so sad mine has dried out now! The St.Ives scrubs are so good, one of my all time favorite makeup products. Great post! I love succulents too! I have a few of them and cactuses by my bathtub :) Also really love your necklace! Benefit mascaras are the best! You should try their mascara primer, it;s amazing!